David is an idealistic rookie officer able to maintain a decent urban lifestyle for him and his family until his moral code is challenged. At the same time up-and-coming gang member Lito steps into dangerous territory when he defies matriarch Tia in seeking more power and wealth on his own. Rebellious teenager Rio is flirting with gang life until he has to deal with his own guilt over a tragic death. Writer/Director Moritz Rechenberg first took interest in street gang kids in late 2007 when he was searching for a subject matter for his next short film, Ticked. While skimming the Los Angeles Times an article about racially motivated gang killings grabbed his attention. 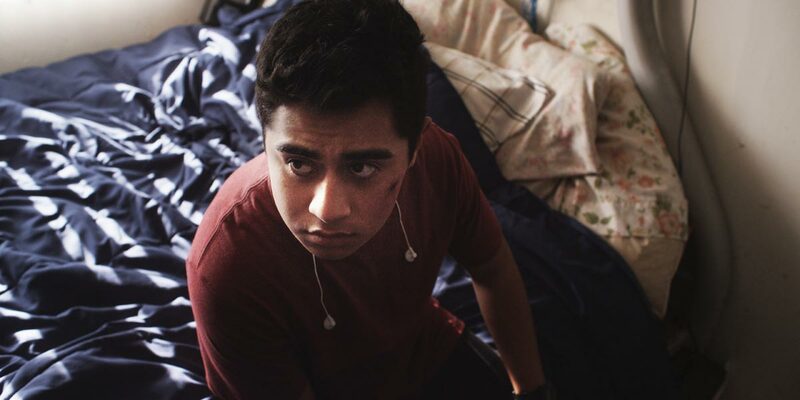 Driven by a desire to tell the story of kids who are left to themselves, turn to the street and take up arms to shoot at their perceived enemy he needed to thoroughly educate himself and dedicate his time and resources to making a film against forgetting. Rechenberg took his research and wrote an outline of a screenplay, which was then developed in collaboration with kids from the Teen Club at Hazard Park in East Los Angeles. Ticked was shot over the course of six weeks in the summer of 2008. For Rechenberg this revelatory, community-based experience only brought him closer to the struggle of the Homies. 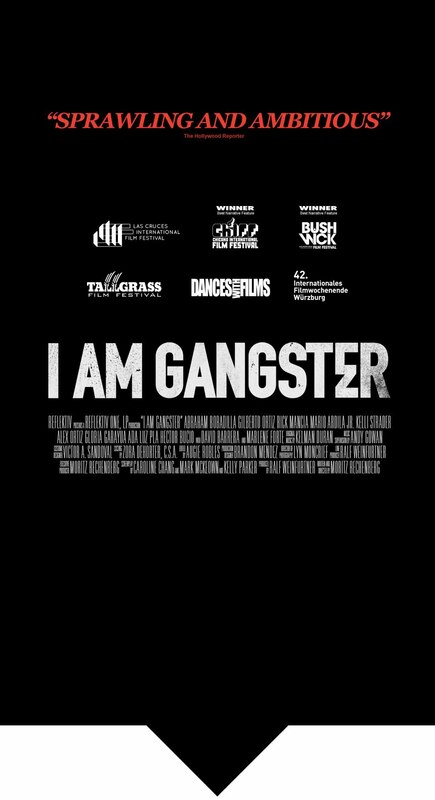 To dig deeper into the issue of gang-related youth violence he expanded his research and developed the feature film that would become I Am Gangster. For both films the participation of community members as well as former and occasionally active gang members was essential on many levels from story development, location scouting and on-screen talent. Besides lending an inimitable character and level of authenticity to the film these positions offered employment, a positive work experience and Rechenberg hopes it created an opportunity for healing through active reflection. Rechenberg and the film’s Director of Photography Lyn Moncrief worked without a storyboard to approach each scene as open-minded as possible. Leaving enough room to let the beauty of the mundane show they wanted to cover each scene with a certain efficiency; not to create long shots for the sake of spectacle but to give Moncrief and Rechenberg the freedom to organically block a scene and to give the actors the opportunity to thrive and improvise. Writer, Director and Executive Producer Moritz Rechenberg first took interest in street gang kids in late 2007 when he was searching for a subject matter for his next short film, Ticked. While skimming the Los Angeles Times an article about racially motivated gang killings grabbed his attention. Driven by a desire to tell the story of kids who are left to themselves, turn to the street and take up arms to shoot at their perceived enemy he needed to thoroughly educate himself and dedicate his time and resources to making a film against forgetting. Rio, an artistic teenager and occasional tagger, is trying to find the right place for himself in the world between tradition and progress. Although he knows better, pressure from his domineering father to take over the family business, problems at school and a rediscovered bond with street gangster Chavo entice Rio to move towards the protection and acceptance that gang life seems to promise. After a respected fellow gangster and friend is shot dead by the police, Lito reaches for more power in the gang and wants to retaliate. However, Lito’s foster mother and the gang’s matriarch, Tia, refuses to let him do so to avoid attracting attention from the cops. But driven by his ambitions to up his game and to provide for his own growing family, Lito steps into dangerous territory when he starts an operation of his own. David is a young police officer with the Department of Corrections, an upright citizen and family man. But the reality of working at a jail catches up to him when he’s threatened and intimidated by a group of violent jailers and a powerful prison gang who are all trying to recruit him as a new member. Eventually David struggles to keep even his family safe and suddenly finds his own life in jeopardy. Watch: Blood Boils and Violence Erupts in Exclusive NSFW ‘I Am Gangster’ Trailer. ‘I Am Gangster’ Drama Bought by FilmBuff. Listen: Z Radio Würzburg interviews filmmaker Moritz Rechenberg during the 42. Filmwochenende Würzburg. Listen: Interview with Filmmaker Moritz Rechenberg during the 2015 Tallgrass Film Festival. SIGN UP for our NEWSLETTER ©2018 Reflektiv One, LP. All Rights Reserved. Site Credit.